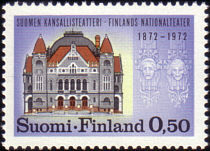 Finish National Theatre, built 1902 by Onni Tarjanne. 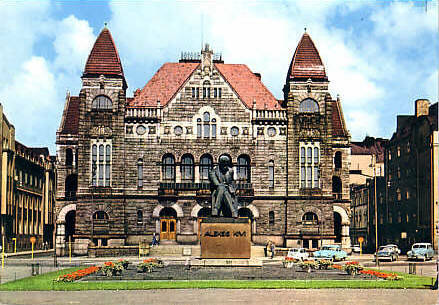 Opened 9 Apr 1902. 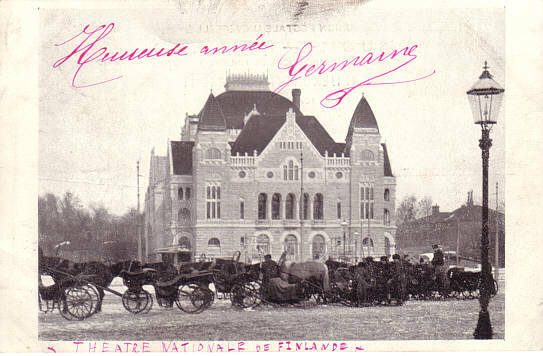 Handwritten Front Text: "Théâtre Nationale de Finlande"
Reverse Text: "Helsinki, Helsingfors, Finland - Suomen Kansallisteatteri, Finska Nationalteatern, The Finnish National Theatre, Das Finnische Nationaltheater"
Text: "Suomen Kansallisteatteri - Finlands Nationalteater 1872-1972"